Mama Just Doing It is an event created with the goal of building sisterhood, wellness and purpose among mothers. And happening Mother’s Day weekend! With so many of us lacking community support, connection and genuine self-care practices we often get stuck in the cycles of life and start losing ourselves in motherhood. Mama Just Doing It seeks to shift the tide, helping us align our actions with our deepest inner knowing, while building meaningful connections with mothers at all stages of their journey. This 3 hour event is the perfect space to gain insight and connect with the common thread that links us together first as women then as mothers. We will discuss healthy self-care, ways to pour into ourselves as caretakers and positive coping practices in parenting. We will practice gentle yoga and guided meditation that will foster connection and can be easily applied to our daily or weekly routines. This is a perfect day out to unwind and treat yourself or a mother you love for Mother’s Day! Ebboni X Savory is a writer, blogger and doula. A mother of 3 who focuses her work around uplifting women to heal and grow into becoming our best selves. She created the Mama Just Doing It, event series to bring mothers together and create a wider community of purposeful wellness and sisterhood. 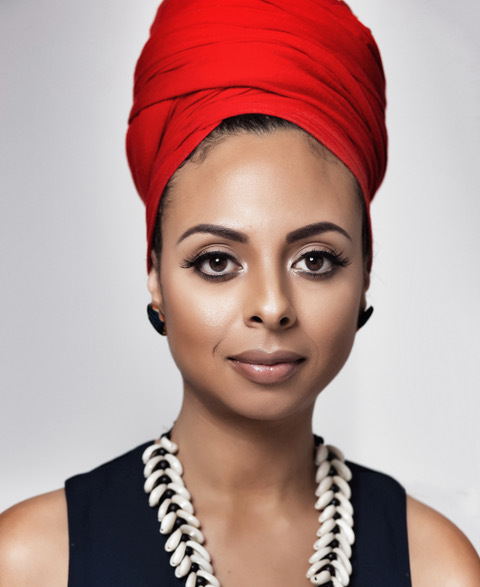 Nehanda Truscott-Reid is a Holistic Wellness Coach, mother of two and woman behind the Soul Mama Journey, a Mind, Body, Soul approach to wellness and balance for mothers. Through developing conscious and intentional rituals around Soul Food, Soul Flow (movement), and Soul Care (self care), Nehanda supports women from pre conception onwards to heal, awaken and balance their energy and their lives. She is of British and Grenadian heritage and lives in London with her family. Malaika Maitland is a new mother, certified advanced teacher of therapeutic yoga (500hr), a pregnancy, labour & postpartum doula and co-founder of Spice Harmony Yoga. She has finished her Professional Yoga Therapist training and is now completing her clinical hours towards her final certification (1000hr). Malaika is a visual artist whose photography, film and mixed-media work has been exhibited locally and internationally.